Eskimo®-3 Bright Kids Jelly Splats is our exciting omega-3 fish oil designed specifically for kids. Each jelly tab, or ‘splat’ tastes great, is easy to take and provides 250mg of DHA which supports healthy brain function. We know that it can be difficult to get our kids to eat enough fish which is why we designed a fuss-free alternative. In tests, 80% of kids were still voluntarily taking jelly splats daily after 15 weeks! And as well as being made of 100% pure fish oil, our jelly splats are naturally flavoured with no artificial flavourings or sweeteners, and are sugar-free too. Provides 250mg of DHA per jelly splat – the right dose to support normal healthy brain function. Are made from sustainable fish oil from anchovies; wild, smaller fish that are lower down the food chain have a naturally lower concentration of contaminants. We only add natural flavours, with no artificial sweeteners or added sugar so you get all the goodness without a compromise. Bright Kids Jelly Splats are sweetened with xylitol and sorbitol, both from natural sources. What's the importance of omega-3? Omega-3 has been proven in thousands of clinical trials to be good for our hearts, brains, eyes and helps keep our joints and skin healthy too. Omega-3 is essential for children’s growing bodies, especially their brain. The most important types of omega-3 are EPA (Eicosapentaenoic acid) and DHA (Docosahexaenoic acid). These are essential because we can’t make them, the only way to get omega-3 is to eat it. EPA and DHA are found almost exclusively in fish and seafood. It is recommended that we all consume at least 1 portion (140g) of oily fish per week, however, on average, people in the UK are only consuming a third of a portion per week, with kids eating as little as 10% of this recommended amount. All Eskimo®-3 oils are made from deep water fish sourced from sustainable fisheries off the coast of Peru. The delicate oils are purified close to the fishing grounds. Fully traceable quality from sea to final product ensures all our Eskimo®-3 range is “Friend of the Sea” certified. Scientifically backed - More than 100 scientific articles have been published in leading medical journals worldwide demonstrating the effects of Eskimo®-3 fish oil and the Eskimo®-3 range of products. No fishy taste - many fish oils have a nasty flavour or repeat on you. Ours are fresh with a range of antioxidants to prevent oxidation, so they taste fish free. Not only that, but our jelly splats have a delicious natural orange flavour, meaning kids look forward to taking them each day! Are toxin free – Eskimo®-3 undergoes an extensive purification process to ensure the removal of toxins and is completely free of heavy metals, toxins and other nasties. Has superior bioavailability, as all Eskimo®-3 oils are in triglyceride form, so they are very well absorbed by the body. Learn more about Eskimo®-3 Bright Kids & fish oil on our dedicated page complete with more about the Eskimo®-3 Fish Oil range and articles! Eskimo Bright Kids is a new and delicious way to ensure your children are consuming enough Omega 3 EFAs (essential fatty acids) on a daily basis.  • Contains the highest DHA level per tablet among competitors with similar products. • Provides 250mg of DHA per jelly splat – to the right dose to support normal healthy brain function. • Has excellent compliance amongst children, due to their excellent taste and consistency – kids love them! • Has superior bioavailability, as all Eskimo oils are in triglyceride form, so they are very well absorbed by the body. • No fishy taste - many fish oils have a nasty flavour or repeat on you. Ours are fresh with a range of antioxidants to prevent oxidation, so they taste fish free. Not only that, but our jelly splats have a delicious natural orange flavour, meaning kids look forward to taking them each day! • Are made from sustainable fish oil from anchovies; wild, smaller fish that are lower down the food chain have a naturally lower concentration of contaminants. • Are toxin free – Eskimo®-3 undergoes an extensive purification process to ensure the removal of toxins and is completely free of heavy metals, toxins and other nasties. • All Eskimo oils are made from deep water fish sourced from sustainable fisheries off the coast of Peru. The delicate oils are purified close to the fishing grounds. Fully traceable quality from sea to final product ensures all our Eskimo range is “Friend of the Sea” certified. • Scientifically backed - More than 100 scientific articles have been published in leading medical journals worldwide demonstrating the effects of Eskimo®-3 fish oil and the Eskimo®-3 range of products. • We only add natural flavours, with no artificial sweeteners or added sugar so you get all the goodness without a compromise. Bright Kids jelly splats are sweetened with xylitol and sorbitol, both from natural sources. Children aged 3 and over: 1 chewable jelly splat daily. Caution: Not recommended for haemophiliacs. Consult a medical doctor if on anti-coagulant medication. Contains sweeteners (sorbitol, xylitol). Excessive consumption may produce laxative effects. Palatable product for children to take and easy to open packaging. My 4year old son is a particularly tricky eater & I'm constantly thinking out of the box to ensure he gets the nutrients he requires. I was relieved when he decided he liked the splats on the 3rd attempt of trying them. He'd previously failed his school eye test and we were at the hospital every 3months for a reassessment, on his last assessment we had brilliant news. His eyes had made an improvement and we were signed off from the hospital. My son now insists on having a splat as soon as he wakes up in the morning as he thinks it's responsible for his eyes getting better. High quality product that have really helped my childrens concentration in the class room. My soon enjoy to take this jelly vitamins. My daughter loves her vitamins. Lovely taste. My son is more than happy to take these, more than any product I have tried before. He loves the taste and texture, great product! My son loves them, helps him concentrate better in the run up to exams. My 8 year old loves these. Very child friendly tabs that actually my son is so excited about that he reminds me he needs to take one. Finally omega-3 that my kids will actually take! Great product!